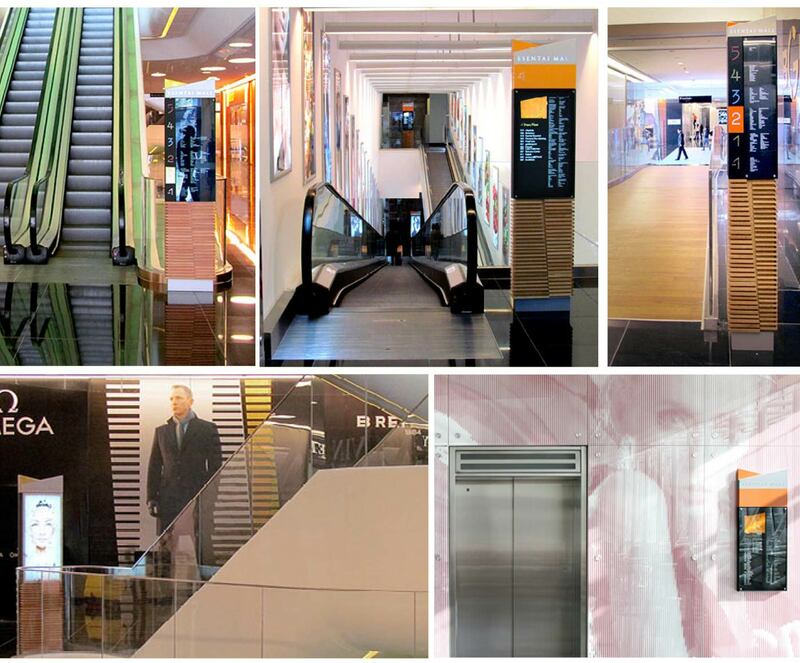 The $450 Million Esentai Mall in Almaty was the first luxury shopping centre to open in Kazakhstan. It has over 160 stores featuring luxury brands including Louis Vuitton, Fendi, Burberry, Stella McCartney, Gucci and Ralph Lauren and was fully set to be a major fashion hotspot and tourist attraction. The full Esentai Park development extends to 300,000m2 and will comprise 7 buildings including 3 residential towers and the Esentai Tower containing offices, a luxury hotel and apartments. The brand identity for the entire development was already established and featured a graphic representation of the main Esentai Tower (the shopping centre itself has since been rebranded). The developer, Capital Partners, were concerned that the identity and the interior architecture of the centre felt slightly bland and sterile. We were asked to create a wayfinding system for the the centre which would reinforce the premium positioning but at the same time introduce a sense of warmth and a welcoming personality. We created a distinctive and elegant way finding system, based on a 3-dimensional interpretation of the Esentai logo. The signage combined timber columns and a contemporary illuminated typographic and colour-coding system to bring warmth and personality to the interior. 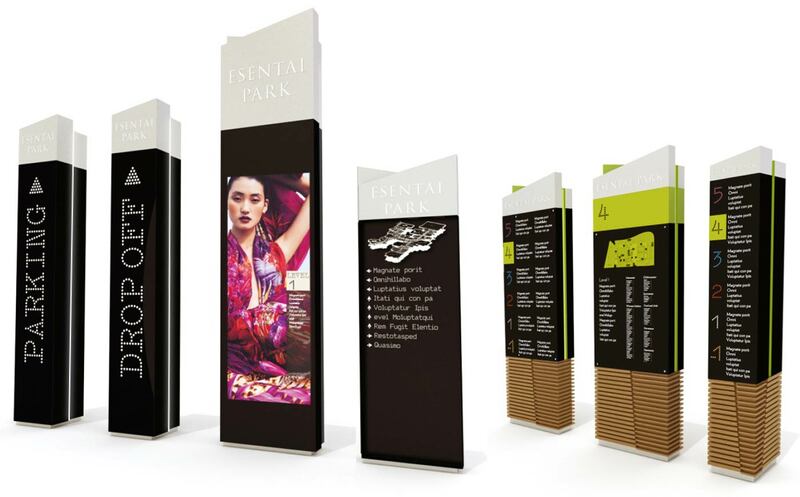 The wayfinding made extensive use of high end fashion photography applied through light boxes and glazing throughout the mall and the entire park. We also designed and built a multi-lingual online guide to the mall which we extended to an interactive, mobile app to guide visitors through the mall experience, updating them on forthcoming events, new collections and designers look books.